"We are really sure that this age is very, very robust," lead author Melanie Barboni, a researcher in UCLA's Earth, Planetary, and Space Sciences Department, told Space.com. But it's been hard to pin down exactly when this impact, or these impacts, occurred, Barboni said. That's because the rocks collected by Apollo astronauts and studied by scientists tend to be breccias — jumbles of different rock types mashed together by meteorite strikes (which are very common on the lunar surface, because the moon has almost no atmosphere to burn up falling space rocks). "You don't have pristine, old rock preserved on the moon," Barboni said. "That's one of the biggest problems — the whole-rock record on the moon is not there." So Barboni and her team decided to take a different tack. Rather than study entire rocks and hope they date all the way back to the moon's birth, the team dated the formation of the object's mantle and overlying crust. This "differentiation" occurred shortly after the giant impact(s), when a global liquid-magma ocean initially present on the moon cooled and solidified. And this solidification left a signal, Barboni said — a mineral called zircon. "If you want to date this process, we use the mineral zircon, because that's the best time capsule you can find," she said. The team's analyses show that the zircon fragments are pristine and ancient, dating back to the moon-forming impact(s), Barboni said. The researchers also managed to correct for the influence of galactic cosmic-ray impacts, which can complicate dating attempts by injecting neutrons into samples, she added. "We were able to correct for everything that was a problem before, the reasons people said zircon couldn't be used," she said. The moon's advanced age also makes sense from a dynamics point of view, especially if the giant-impact(s) theory is correct, Barboni said. That's because more impactors were flying around in the solar system's very early days than 100 million years or so later, she said. For example, life on Earth appears to have gotten a foothold by at least 4.1 billion years ago. This extreme antiquity may seem surprising, given that the moon-forming impact(s) likely heated up Earth tremendously, completely reshaping and remaking the planet's surface. But it's less surprising with an old moon than with a young one, Barboni said. "That makes much more sense, if actually the Earth started evolving from 4.5 [billion years ago] rather than the Earth evolving from 4.3 [billion years ago]," she said. © Mélanie Barboni The "supermoon" of Nov. 13, 2016, as seen from the University of California, Los Angeles. Scientists say they have figured out the most precise age for the Moon than ever before, thanks to samples of lunar rocks gathered during NASA’s Apollo 14 mission. Analysis of the rocks pinpoint the Moon’s creation to 4.51 billion years ago, just 60 million years after the Solar System first formed. This suggested age makes the Moon a lot older than some recent estimates, which claim our lunar neighbor is 4.3 or 4.4 billion years old. If the results are accurate, it means the giant impact that created the Moon must have occurred fairly early on in the Solar System’s history. The Moon is thought to have formed from the leftover debris of a high-speed collision between Earth and a smaller planet-like object called Theia — and the timing of this event is important for figuring out when life formed here on Earth, too. Our planet would have been completely wiped out by the giant impact, so life could not have started forming on Earth until after the planet became whole again in the wake of the collision. So knowing the Moon’s age gives us a good idea of when the Earth started to become a suitable place to live. The Moon dating technique, detailed today in the journal Science, involved breaking down the chemical components of a mineral within the lunar samples called zircon, according to lead study author Mélanie Barboni. Studying this mineral helped scientists figure out an important event in the Moon’s formation: when it solidified. The giant impact would have created a massive ocean of liquid magma that eventually coalesced into the Earth and the Moon. The chemical signatures of zircon allowed the scientists to estimate when the Moon’s solidification occurred — a key process that is often considered the beginning of the Moon’s life. However, the results may not be enough to truly settle the debate on the Moon’s age, according to Richard Carlson, the director for the department of terrestrial magnetism at Carnegie Institution for Science. While Carlson says Barboni and her team did solid work, he has a few concerns about the technique used to analyze the zircon, as well as some assumptions that were made in the study. These concerns may not have thrown off the estimates, but they may cause some experts to doubt the results. “It’s just a very complicated problem they are addressing here, which is why we still don’t have a clear answer to such an obvious question as the age of the Moon,” Carlson tells The Verge. The technique used to analyze these lunar samples, however, was considered a little risky since it involved completely dissolving the zircon within acid. “This was the very first time the zircon would completely disappear,” says Barboni. “Of course, they are precious, so nobody really wanted to do this.” But Barboni’s colleagues at UCLA ultimately decided to trust her with the Moon rocks, and she was allowed to give them the required acid bath. Through this process, Barboni was able to separate out four key elements from the zircon. The first pair of elements were uranium and lead. Uranium is a radioactive element that converts into lead over a long period of time. It’s a conversion that happens at a specific rate, so scientists can use the ratio of these elements within zircon to figure out how old the rock is. But dating when the rock formed doesn’t give you the entire picture, since the Moon is much older than when the zircon crystalized on the lunar surface. That’s why Barboni measured another important set of elements: lutetium and hafnium. As the Moon took shape, its materials separated into an inner mantle surrounded by a crust, and that process would have changed the ratio of lutetium and hafnium within various regions of the Moon. The ratio of these elements provides clues as to when this differentiation process took place, back when the zircon was still a magma. Earth’s very clingy friend, the Moon, has long been an object of human fascination. It makes sense, considering we’re just a hop, skip and a 238,855-mile jump from our celestial pal. That said, when it comes down to understanding the basic details about the Moon, we kind of don’t know what we’re talking about. According to new research from a team of scientists based at UCLA, the Moon is much older than previously estimated—up to 140 million years older, to be exact. After analyzing uranium decay in minerals called zircons, which can be found in Moon rocks brought back from the Apollo 14 mission in 1971, researchers concluded the Moon probably formed about 60 million years after our solar system was born. This, along with the rest of the team’s findings, was published on January 11 in Science Advances. 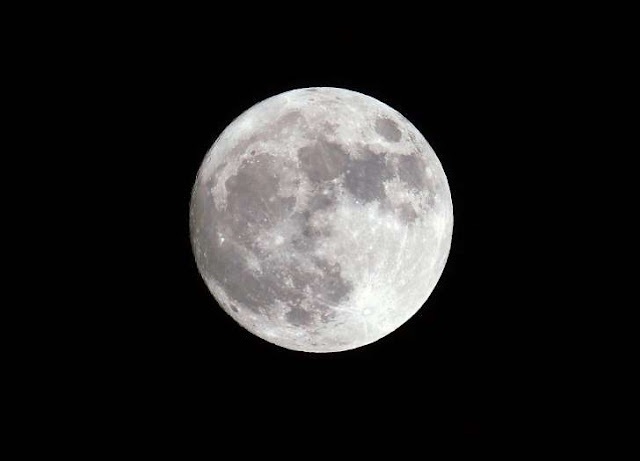 The researchers concluded the Moon is at least 4.51 billion years old. “We have finally pinned down a minimum age for the Moon; it’s time we knew its age and now we do,” Mélanie Barboni, the study’s lead author and a research geochemist in UCLA’s Department of Earth, Planetary and Space Sciences, said in a press release. Using rock-dating techniques to approximate the Moon’s age is nothing new, but in the past, scientists may have used samples that were impacted by multiple collisions. This would explain the wide range of opinions on the moon’s real age. But in this study, Barboni was very particular about the purity of the zircon grains team studied—even if it meant analyzing rocks that have been in storage for 50 years. Understanding the Moon’s true age extends far beyond our natural desire to unlock cool space mysteries: it can also tell us how the Moon and the Earth formed. The team at UCLA concluded the Moon’s crust is probably full of zircon, after a large object collided with Earth billions of years ago and created a liquified moon, which eventually solidified into our familiar friend. All this is to say the moon is very old, and we were very wrong. 0 Response to "Scientists: The moon is roughly 4.51 billion years old"